Social media plays a significant role in today’s society and has changed how we market law practices and access information. Effective and ethical lawyering means navigating the dangers that lurk for lawyers on social media, and also the multitude of electronic tools that may seem appealing and helpful in our zeal to obtain the best results for our clients. A misstep comes with a disciplinary price tag. Attendees will learn do’s and don’ts, helpful tips and guidance regarding the ethics of self-promotion on the internet, LinkedIn endorsements, investigating and manipulating online data and evidence, astroturfing, Web bugs, and Internet scams involving settlement funds. This webinar is the result of collaborative efforts of the ABA Center for Professional Responsibility and NAPABA. Applicable ethics rules will be discussed and cited by rule number during the presentation. Code words will be used to monitor attendance during the live webinar. NAPABA headquarters will provide attendance certificates to members for attending the webinar. It is up to individual members to determine whether the webinar qualifies for credit (and what kind) in their state. Please e-mail Kristin Haugen, chair of the CLE & Programming Sub-committee of the SSF Network at kc@kchaugenlaw.com with any questions. The Minnesota Chapter of the FBA and The Vintage, along with the Civil Litigation and New Lawyers Sections of the Hennepin County Bar Association, invite you to a program addressing "Practicing Law Across Generations." Our experiences shape how we practice law, and how we interact with the court and other attorneys. The senior partner who has seen everything (and maybe went to law school with the presiding judge) will approach a case differently than a junior attorney who is an expert with e-discovery issues but who has never conducted a cross-examination. Interactions between attorneys of different generations and backgrounds sometimes lead to tension as each attorney struggles to understand the other. But practicing law alongside or across the table from an attorney with different experiences can also be an opportunity to improve our practice and examine the assumptions we make about others. Please join us for a candid, thoughtful, and engaging panel discussion with both attorneys and judges from different backgrounds and generations. 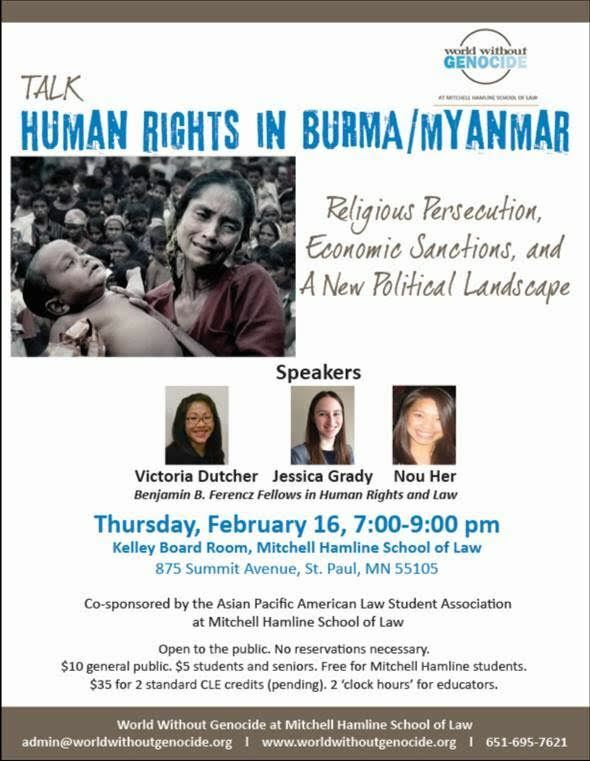 Our panel will talk openly about the frustrations, opportunities, and understanding that comes with engaging in the practice of law across generations, and will also offer advice for how to evaluate our own assumptions and overcome them while working productively with attorneys of all backgrounds. The moderated panel will include a mix of judges and attorneys from different backgrounds and years of practice, and will include United States District Court Judge Ann D. Montgomery, Hennepin County District Court Judge Marta Chou, Tom Nelson of Stinson Leonard Street, Brittany Skemp of Nichols Kaster, Barry Landy of Ciresi Conlin, and Rebecca Moos of Bassford Remele. One hour elimination of bias credit applied for. The Minnesota Hispanic Bar Association invites its members and friends to join it in celebrating the Twelfth Annual MHBA Gala! This year, Sonia Nazario, Pulitzer Prize winning journalist and author of Enrique’s Journey, joins us as our keynote speaker for the MHBA Gala! In addition, the MHBA is pleased to award the 2017 Manuel Guerrero Courage in Leadership Award to the Honorable Ann D. Montgomery, Sr. U.S. District Judge, District of Minnesota. Finally, the MHBA Gala will feature live music from salsa band Tropical Zone Orchestra! Description: Office of Police Conduct Review Staff will present the Minneapolis model for civilian oversight system of law enforcement. Civilian oversight functions through a hybrid of administrative, criminal and employment law. The session will be interactive, with a mock “review panel” where attendees will participate in the decision-making process for a police misconduct case. Description: This panel will focus on what legal avenues are available to promote and ensure police accountability. It will specifically look at how officers can be held either criminally or civilly liable for their actions and what changes could be made to further promote accountability. Description: Michael Quinn is a former Minneapolis Police officer and author of a book examining police ethics and accountability. He now works as a police ethics trainer, and recently worked to implement his Peer Intervention for Law Enforcement Program in the New Orleans Police Department. Description: This panel will address the current movement to build trust between police departments and communities and how successful, or unsuccessful those efforts are, what barriers exist, ideas for future success and how lawyers can assist in the process. The program is especially relevant for attorneys, law students, and community stakeholders in policing, police accountability and building community trust. Members of the public are encouraged to attend. Application has been made for 1.5 hours of CLE credit for each of Sessions 1, 2 and 3 for a total of 4.5 for the entire symposium. The fee for the entire symposium is $75, or $30 per Session. Public Interest attorneys can attend for a reduced cost of $50 for the entire day or $20 per session. Current law students and non-lawyer community members can attend for free but registration is required. Breakfast and lunch are included, as well as refreshments at the reception following the day’s program. space is limited. please register as soon as possible. Online registration will close on Monday February 20, 2017. After that date, please contact the Symposium Editor for information on availability. 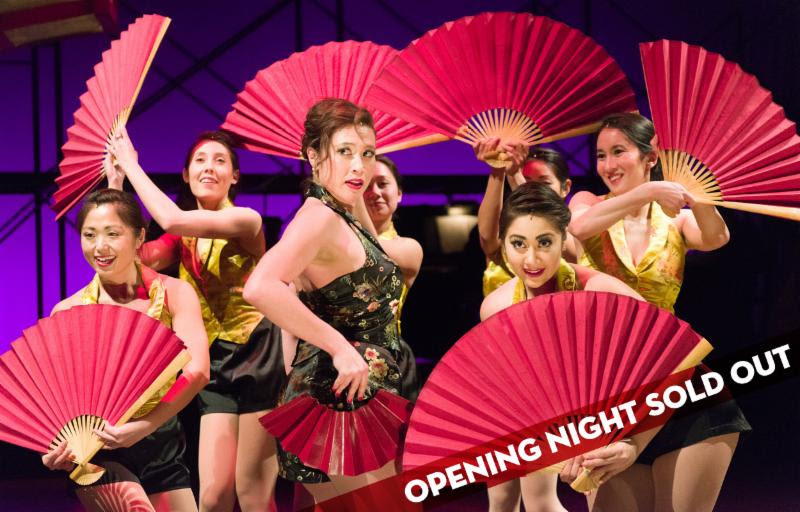 Mu Performing Arts "Flower Drum Song" - the musical by Rodgers and Hammerstein updated by David Henry Hwang, playwright - is playing now in St. Paul through Feb. 19, 2017, at the Park Square Theatre. Mu Performing Arts, aka Theater Mu, is the Asian American Theatre started in the Twin Cities by Rick Shiomi who directed MNAPABA's Korematsu enactment in 2015. I went to opening night - and I can say without reservation, this play is well worth seeing. It not only has great songs and music and great acting by an Asian American cast, it also deals with issues of identity, assimilation, and immigration - all topics relevant for our times! Also, MNAPABA members, Daniel Le, Michael Dai, and Ivan Fong sit on Mu's board of directors. "To create something new, we must first love what is old," claims Mei-Li in Tony Award-winner David Henry Hwang's new adaptation of this Rodgers and Hammerstein jewel. The sentiment is obviously shared by the author himself, who has created something dazzlingly new while honoring the original material. Mei-Li flees Mao's communist China after the murder of her father and finds herself in San Francisco's Chinatown. This naïve young refugee is befriended by Wang, who is struggling to keep the Chinese opera tradition alive despite his son's determination to turn the old opera house into a swingin' Western-style nightclub. A unique blending of American razz-ma-tazz and stylized Chinese opera traditions creates a beautifully theatrical tapestry. The wonderful score, by turns lushly romantic and showbiz-brassy, retains all of its luster in this lovely new version of an American classic. Mei-Li's gradual assimilation is informed by her realization that the old and new can coexist when there is respect for both. "Flower Drum Song has the elements of classic Rodgers and Hammerstein mixed with the beautiful flavors of Asian sounds and culture." "It's highly entertaining. The music, as everyone knows, is great. When you mix the vaudeville influences with nightclub and Peking Opera, plus a complicated love story, you get a lot of heart and soul. Plus, it's being done with great talent. We have 17 members of the cast, all Asian-American. And they're having fun." The Minnesota Chapter of the FBA Diversity Committee and the Minnesota Lavender Bar Association are pleased to present an engaging discussion on contemporary issues facing transgender people. The diverse panel will share their personal experiences, examine the history and evolving legal landscape of transgender legal rights in employment, health care and education, and recommend practical solutions for creating a more equitable workplace. Don't miss this unique opportunity to hear from some of the individuals who are at the forefront of effecting positive change for transgender rights! The Panel will be moderated by Jeanette Bazis, Greene Espel PLLP. Get more information | Register Now!